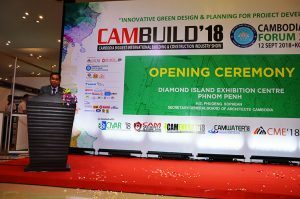 This year’s CAMBUILD revolved around the theme “Innovative Green Design and Planning for Project Development”, gathering around 350 companies from China, Italy, Japan, Korean, Germany, Malaysia, Taiwan, Thailand, Singapore and Vietnam at the Diamond Island Convention and Exhibition Center. 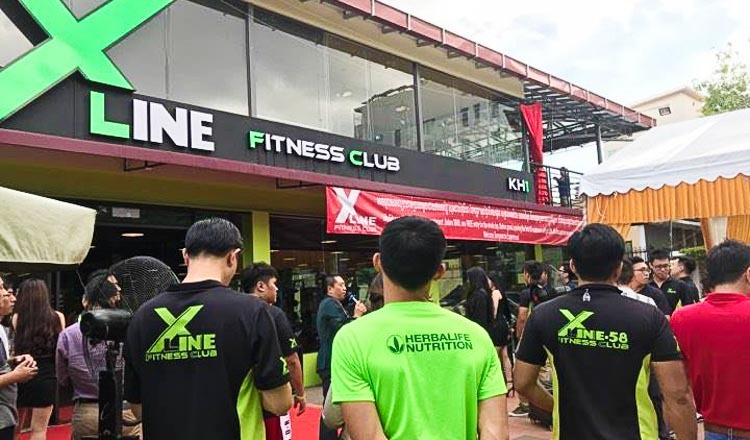 Organisers, honourable guests and sponsors lead the ribbon cutting. 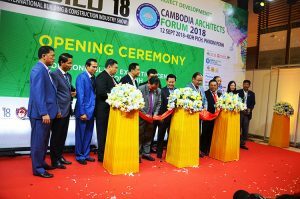 General director of the Board of Architects Cambodia, H.E. 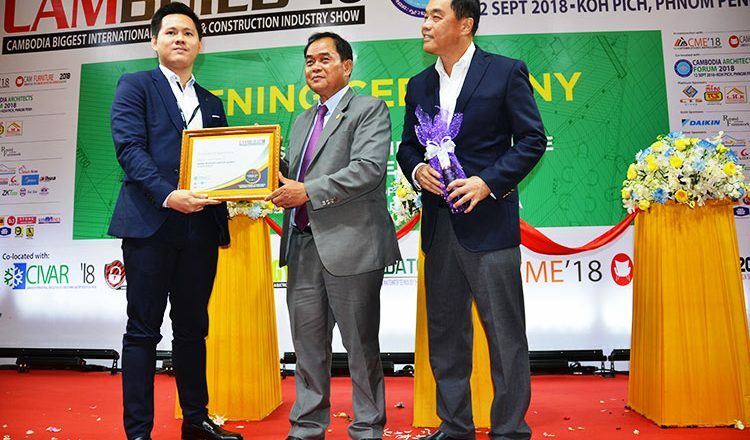 Phuoeng Sophean, and AMB Tarsus Events Group director, Mr Andrew Siow, present the Certificate of Appreciation to Mr Lim Seng, Managing Director of Home Master Supply. 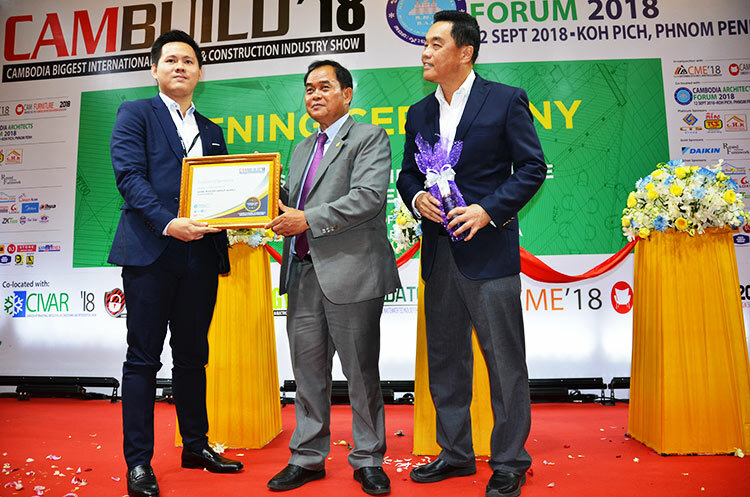 Sponsors and guests of CAMBUILD 2018. 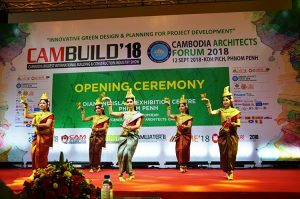 Cambodian traditional dancers welcome exhibitors and guests during the opening ceremony. 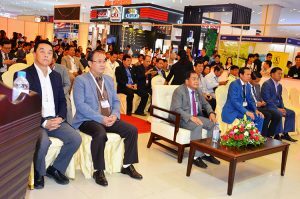 Ministry of Land official Phuoeng Sophean (second from left) at the expo's opening yesterday. 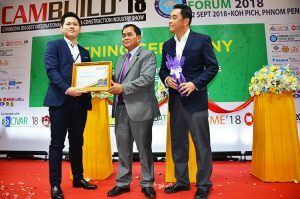 Supplied.